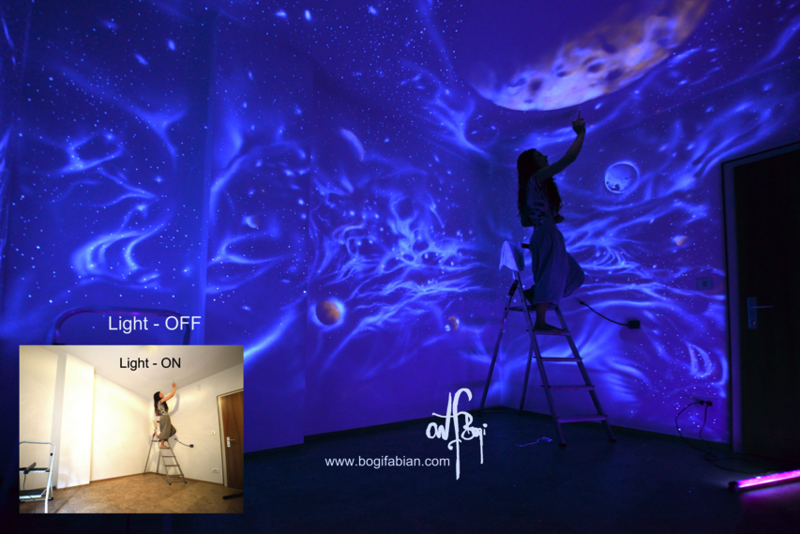 Incredible glow-in-the dark murals from artist Bogi Fabian #ArtTuesday « Adafruit Industries – Makers, hackers, artists, designers and engineers! 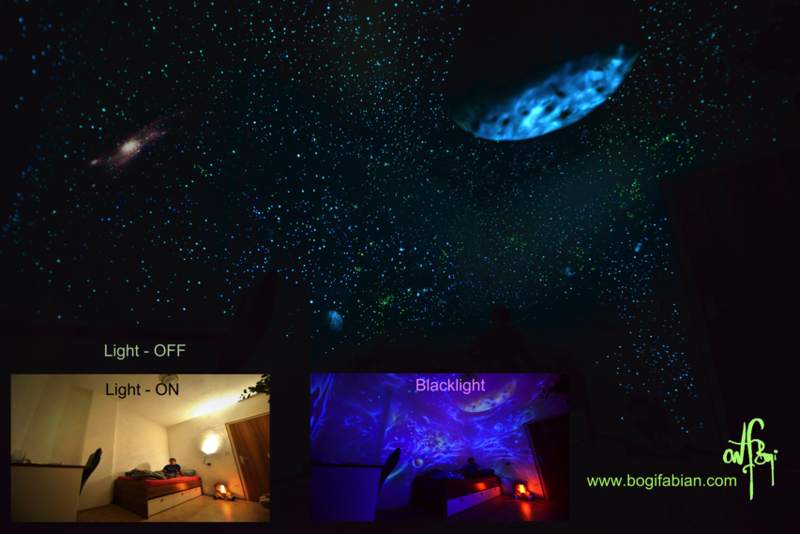 Cool murals from Bogi Fabian. I am trying to creat dreamful atmospheres, paint walls and floors and manage to enlighten my art with and without a source of energy.